CinemaCon footage shows one of the meetings between the Avengers that is actually going to take place in the Avengers: Endgame. It couldn’t get any bigger in terms of promotion for Avengers: Endgame. Fans have been wreaking havoc in online sites ever since the film’s pre-ticket sales went live on last morning. And as the Marvel fanatics continue to ram themselves up to book those first seats, Disney has given us even more reason to get excited. During the studio’s CinemaCon exhibition earlier tonight, Marvel Studios revealed some new footage from the film exclusively for the event attendees. Well, it's far from telling whether Marvel will ever air the footage online for the global viewers, but for now, ComicBook.com (who was in attendance) has been kind enough to provide an overview of what was shown. Of course, it’s nothing too spoiling, but from the narration below, it sure sounds like Captain Rogers is all swung up and ready to take down the Mad Titan. And after what Thanos did to his friends in the previous movie, that’s perfectly foreseeable. 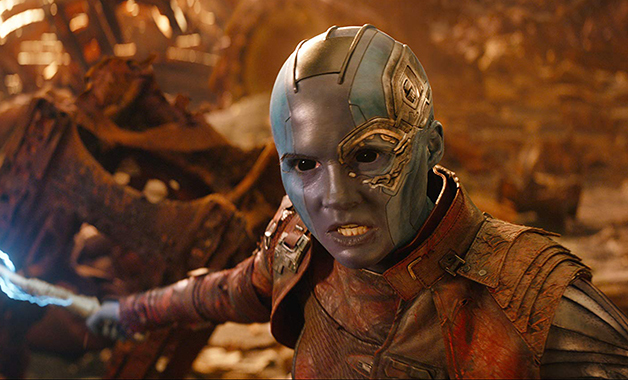 Then Nebula barges in the conversation revealing that she knows the exact whereabouts of Thanos as when he was torturing her over the years, he’d tell her about his plan of going to a place called the Garden. “Great, Thanos has a Retirement plan,” says the War Machine (Colonel Rhodes). “But where is that?” one of the Avengers questions to which Rocket goes on to say, “when Thanos snapped, it sent out an energy field unlike anyone has ever seen…until two days ago, when another planet experienced something similar.” All assume that Thanos has used the stones again. “So let’s go get them and use them to bring everyone back,” suggests Captain Marvel. A scene is shown where all of them is flying in the Benatar. “How many of you have never been to space before?” asks Raccoon. A few heroes raise their hands. “Well, don’t throw up in my ship,” he warns. In three, two, one, they jump—and the ship departs off into space. A reflection is then seen in Captain America’s eye as the ship disappears. 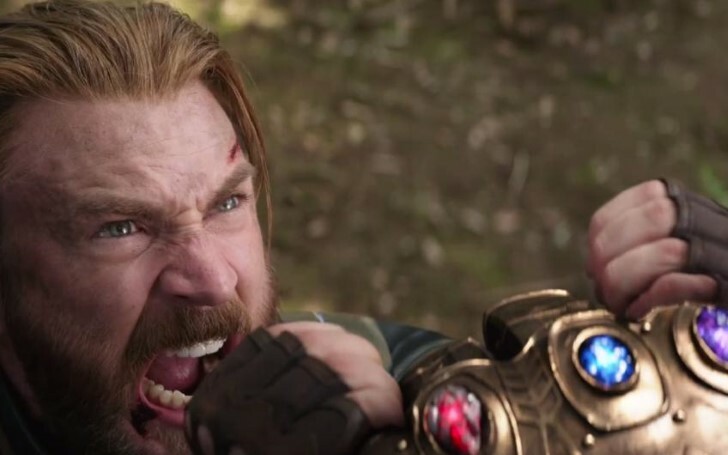 Cap has been given more dialogue than any other character, in almost everything we’ve seen of Endgame. This strongly suggests he’ll be right at the forefront of the drama in the Infinity War sequel. His headline is fitting, too, given that this will likely be Chris Evans’ last adventure in the MCU. And though Steve may not be the only character we expect to leave the franchise after the film, he is definitely the hero whose death is the most widely predicted. Of course, the Nomad’s run could always come to a close in a deathless manner. Some theories, for instance, suggests the film could have a scene where Cap will have the chance to settle down with Peggy Carter through time travel. But for the time being, it’s all to see for ourselves once Endgame hits the theaters on April 26th.